At the 1969 British Grand Prix a titanic duel would erupt between two talented and fast drivers. Lap after lap, corner after corner, these two would do battle. Often side-by-side, exchanging glances, these two combatants would capture the imaginations of on-lookers the world over. In the end, it would be mechanical maladies that would bring an end to the display nobody wanted to see finish. One would become victor, the other the frustrated loser. However, when it was all said and done it would be the loser that captured the imaginations of all that witnessed the events, even the victor himself. Such was the talent, and reality if you will, of Jochen Rindt. Karl Jochen Rindt would be born in April, 1942 in Mainz, Germany. It would be the height of German occupation of Europe, but it would also be a very dangerous time. The United States would just be entering the war and would begin their daylight bombing campaigns over mainland Europe. While still an infant, the bombing raids over Germany would increase. Unfortunately for Jochen his parents would be in the wrong place at the wrong time. Rindt's parents would end up being killed as a result of the bombing raid leaving Jochen to be raised by his grandparents in Graz, Austria. By the time Rindt was in his teen years the new Formula One World Championship was just beginning. Motor racing in post-war Europe would attract a wide audience and would cause more than one child to dream of motor sport glory. But Rindt wouldn't just dream about it; he would pursue it with every fiber of his being. As Formula One entered the mid-to-late 1950s and early '60s Rindt would find a hero, his own source of inspiration to further push him onwards toward his motor racing goals. Wolfgang von Trips would be a shining star in the world of Formula One. Talented and fast, von Trips had great potential, and yet, difficulty and failure never seemed far away. In this regard it would be absolutely amazing how much Rindt emulated his fellow German racer. Of course, the irony between these two German racers would only become deeper as time went on. Though born in Germany, Rindt would pursue a superlicense under Austrian nationality. And, with license in hand, the young Rindt would quickly make his way up through the lower ranks of motor racing. Supported by his grandparents, Rindt would very quickly make his way to Formula 2 and it would be at the 1964 London Trophy race held at Crystal Palace that Rindt would shock many a well known driver and earn a name for himself. Jochen would enter the London Trophy race under the Austrian Ford Motor Co. name. He would be at the wheel of a Cosworth-powered Brabham and would find himself going up against the likes of Graham Hill, Jim Clark and Denis Hulme. Full of confidence and determination, Rindt would put together a truly impressive performance and would fight tooth and nail to hold off Hill for the victory by a second and a half. Rindt had exploded onto the scene in such a short time that his victory at Crystal Palace wouldn't even include his name in British press just some ‘unknown Austrian'. 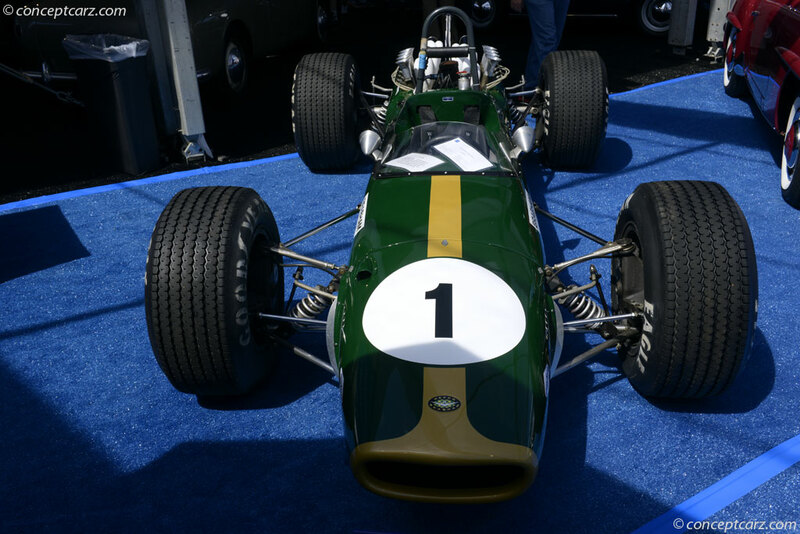 Rindt had only taken part in a handful of Formula 2 races prior to this victory, but it was clear Rindt certainly belonged to that special class of racing driver. The victory in London would go a long way to attracting attention Rindt's way. It wouldn't take very long at all before he would be getting offers to race in Formula One. 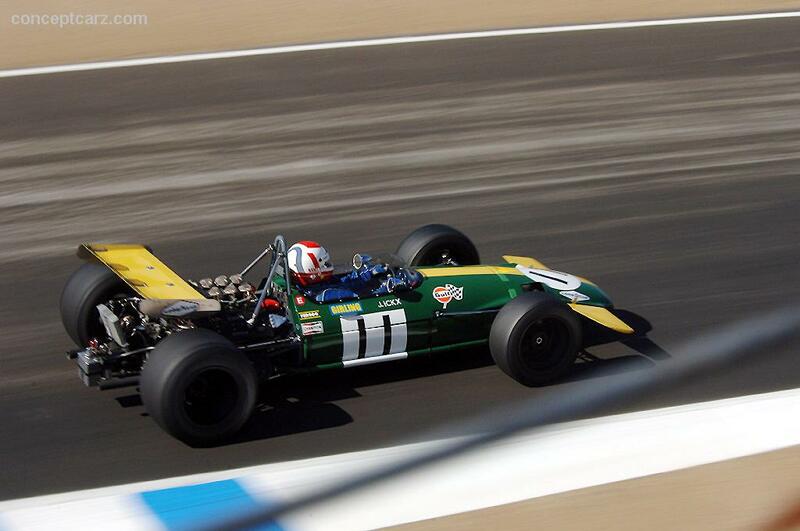 Eager to jump into Formula One, Rindt would take a drive with Rob Walker Racing in his home grand prix. The Austrian Grand Prix n 1964 would still be in the midst of the 1.5-liter years of Formula One. Because of these regulations some teams would try and get away with entering Formula 2 cars since there wasn't too much difference between the two classes at the time. 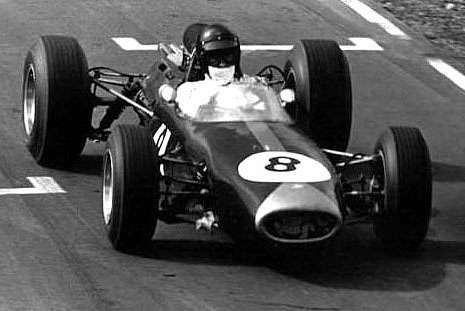 Entering a Brabham BT11 with a V8 BRM engine, this would be exactly what Rindt would find when he showed up for the race at Zeltweg. Already at a disadvantage, Rindt would be forced to do what he would become famous for in that he would have to take hold of the car and absolutely push it beyond its limits. He would do just that as he would end up qualifying for his first Formula One World Championship race with a time just a little more than two seconds slower than Graham Hill's pole-winning effort. Despite an impressive performance in qualifying, Rindt's first race would result in another unfortunate trademark that would never fully escape him for the rest of his life. In spite of showing great natural talent, problems with the steering on the Brabham would lead to his retirement just past the halfway mark in the race. 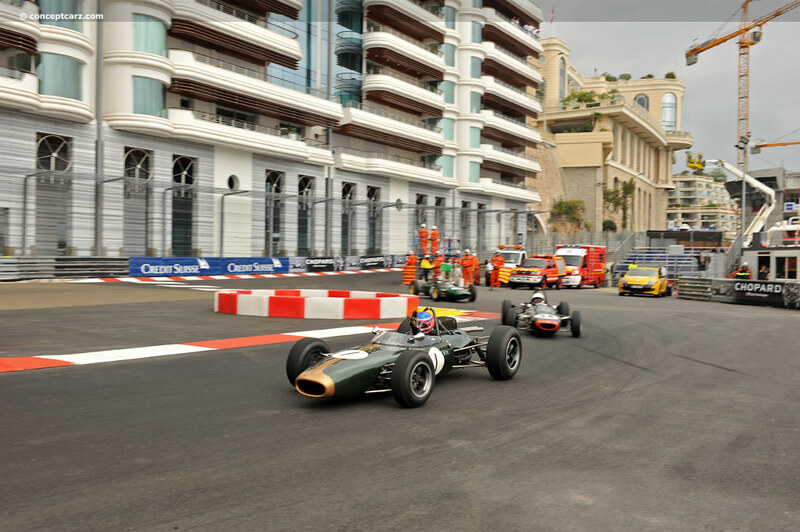 Although he would only take part in the one Formula One race in 1964, Rindt's Formula One career was set into motion. Unfortunately, a continual cycle of poor choices would also seem to come as part of the deal. 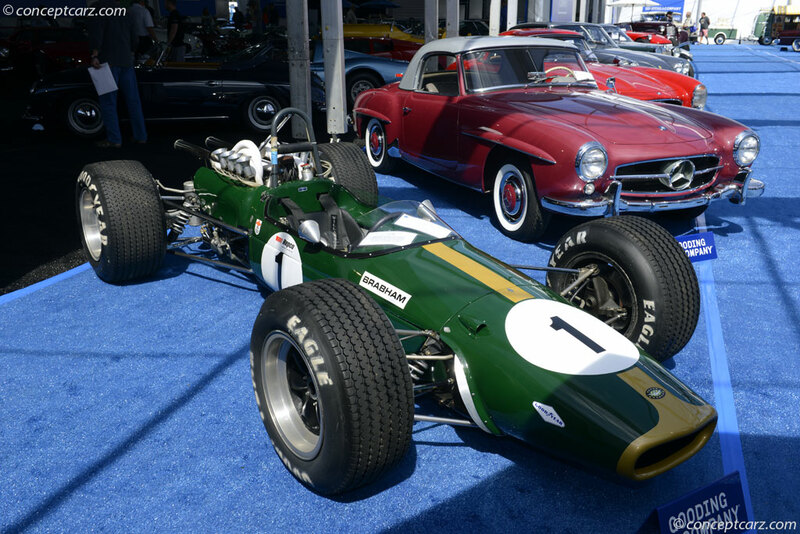 Moving to the Cooper Car Company for 1965, Rindt would experience some strong results including a couple of points-paying results in the German and United States Grand Prix. The following year, 1966, Rindt would really come on strong finishing in 2nd place at the Belgian and United States Grand Prix and finishing 3rd in the Drivers' Championship standings with 22 points. In spite of the strong results scored with Cooper in 1966, Rindt wouldn't be able to recognize when it was time to move on and the next two seasons would see the Austrian finish just 4 of 22 races. 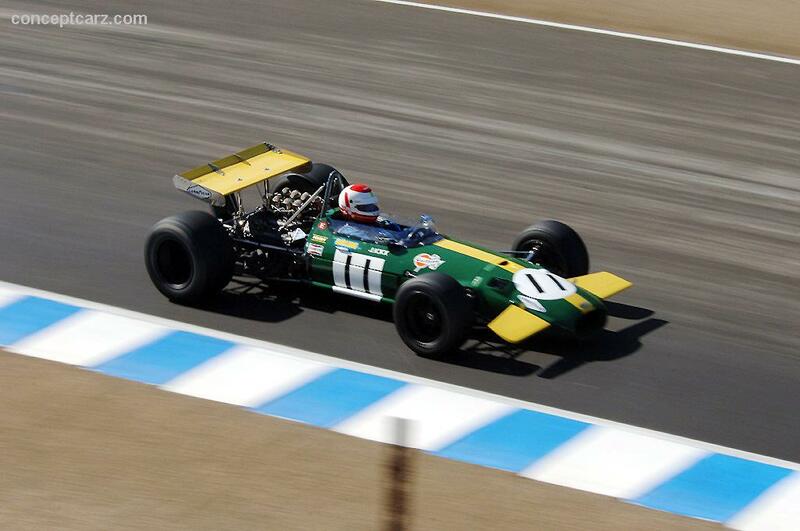 And out of those 22 races, Rindt would start 10th or better in 19 of them. In fact, in 1968, an absolutely terrible year for Rindt, he would start on the front row, or on pole, nearly a half dozen times. Certainly struggling in Formula One, Rindt would join a band of top-flight drivers taking part in Formula 2 races. It would be in this environment that the true genius of Jochen would become apparent and his respect amongst some of the other great drivers of that time would only increase. In the world of Formula 2, Rindt's driving genius would be phenomenal. Sideways around corners, taking trajectories seemingly impossible to maintain throughout the whole of a race, Rindt would become one of the best, if not the absolute best on a given day. 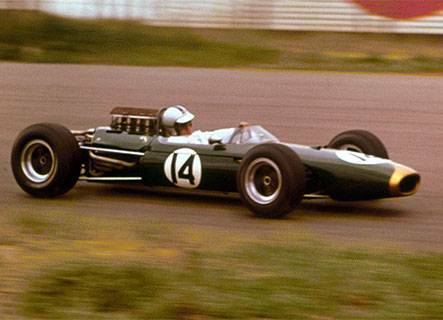 His supremacy was never more established than in 1967 when he would take victory in the first three Formula 2 events of the year. Then at the Gran Premio de Barcelona, held at Montjuic Park, Rindt's streak would come to an end, but he would still finish 2nd behind Jim Clark. Over the course of the 1967 season, while driving for Roy Winkelmann Racing, Rindt would score no less than 9 victories earning him a fearsome reputation on the track, a reputation that actually attracted other drivers to him. Over the course of his short career, Rindt would have more than one battle with soon-to-be three-time World Champion Jackie Stewart. On and off the track these two would be best of friends. Both men would live in Switzerland and would actually be neighbors separated by just a couple of hundred meters. The two men would enjoy life together with their families. They would laugh together and just enjoy life. Stewart and some of the other drivers would get to know Rindt in a way the public was never shown by the Austrian. Appearing abrupt and unapproachable, Jochen would be anything but to his grand prix friends. But on the track, Rindt would show his fierce and fiery side. Not one to back down when he got his dander up, Rindt would provide motor racing fans one of the most memorable moments in Formula One history when he and Stewart battled lap after lap during the 1969 British Grand Prix. While hugely competitive, Rindt would show the other side of himself to his fellow drivers through his utmost respect and professionalism on the track. But the result of that pairing of competitive drive with huge respect would be performances and races that would leave people shaking their heads in awe. More than one time Rindt and his good friend Stewart would be pitted in an epic duel. People would stand back and watch in amazement as these two professionals would show each other the greatest amount of respect but would often be side-by-side going through corners, neither one willing to back out of the throttle. Over the course of their titanic battle for the lead in the 1969 British Grand Prix the would change hands some 30 times! People had the opportunity to watch two of the absolute best driving with their individual styles that would absolutely make them famous.